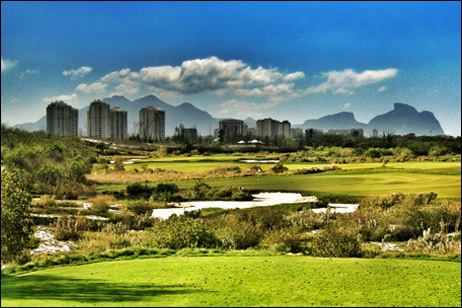 [dropcap size=small]A[/dropcap]fter 112 years, the International Olympic Committee is re-introducing golf at the 2016 summer games in Rio de Janeiro, Brazil. The legacy is to be one of sustainability, so it’s no surprise when they called on Owen Larkin, a pioneer in managing sustainable golf courses, to lead the construction of the most important course in the world. Larkin brings a wealth of experience; he was responsible for managing the permitting, design and construction of Vineyard Golf Club on Martha’s Vineyard, the most organic golf course in America. “When I started building sustainable courses it was altruistic,” Larkin explains. “Now it’s just good economics.” When asked if he could replicate what he did at Vineyard Golf Club Owen said yes, however, he needed a team of experts to create a championship course with the perfect sustainable green. May the best team win…. 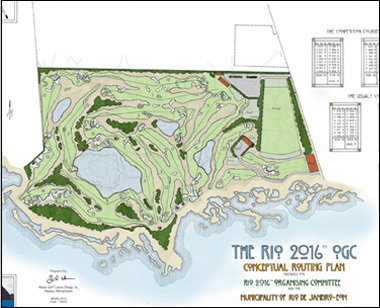 Planning began in 2011 and Larkin’s first choice for the architect was Gil Hanse, President of Hanse Golf Design, who won the design competition to create the Olympic golf course. He was most recently tapped to design the Trump International Golf Course in Dubai and chosen by the PGA Tour to build their newest course in China. Hanse’s expertise and approach to constructing courses is what made him top pick for Larkin. 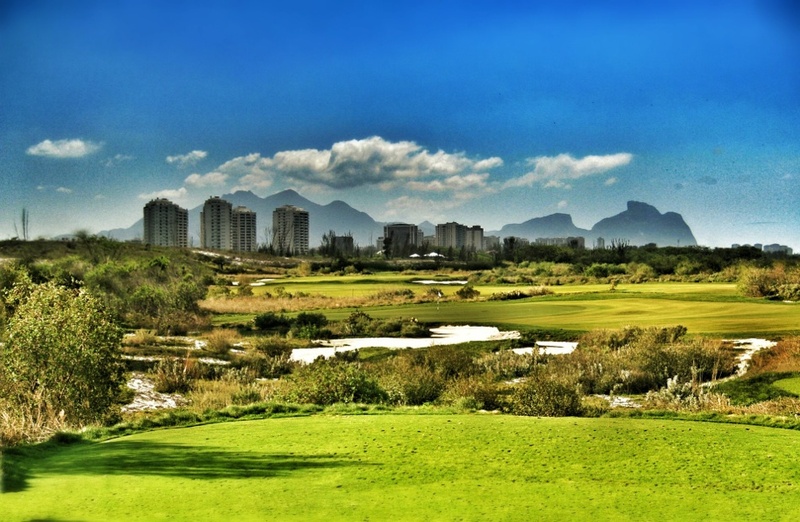 Located within the city limits of Rio de Janeiro, the course, originally a quarry, sits on the southern most portion of an ocean barrier beach. When the group, now a total of four: Larkin, Dr. Frank Rossi of Cornell University, grow-in coordinator for Vineyard Golf Club Jeff Carlton, and Hanse walked the property a little over two years ago, they had some major decisions to make.